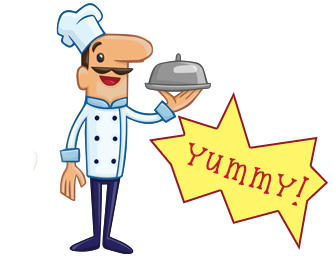 Welcome to our Indian restaurant that provides foods based on authentic and great Indian recipes. 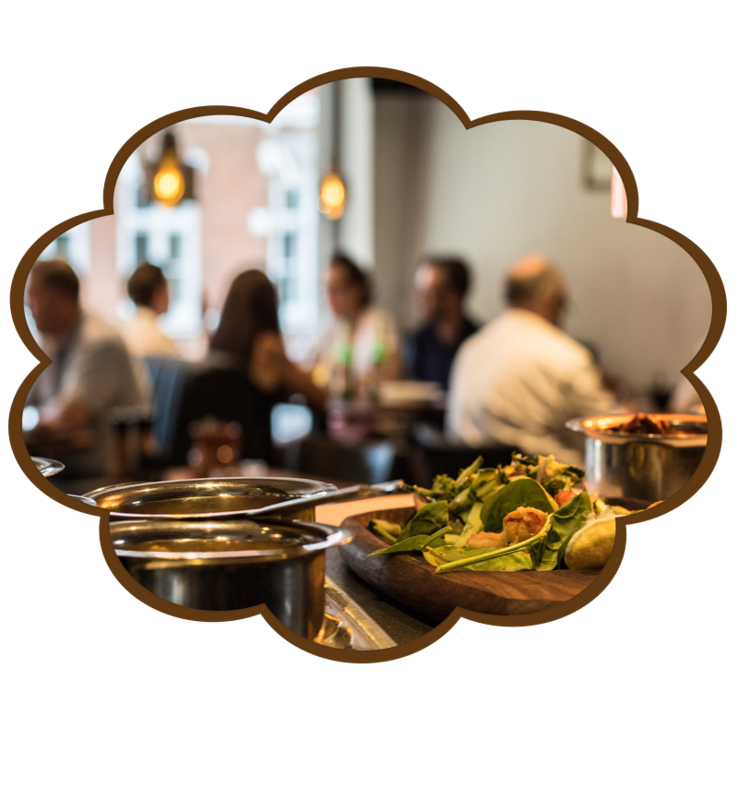 Our restaurant has a warm welcoming ambience that transports our customers to a place of delight, essence as well as beauty as you enjoy our beautifully crafted meals. We are committed to providing quality Indian gourmet that is very diverse since it is inspired by rich Indian culture and history. 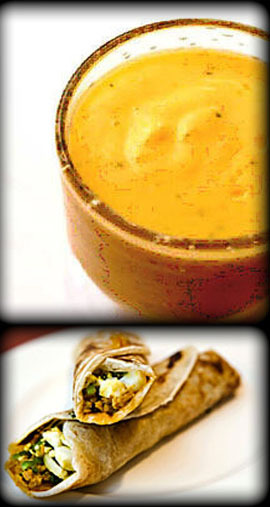 Our menu is made up of Indian gourmet food that is sold at affordable fair prices. We have a special Valentine's Day dinner menu. The delicious food is from us, the awesome gift ideas are from www.valentinesideasforher.com. The crown jewel of Mughal and Awadi cuisines. This exotic offering is prepared from the family recipe that uses the very low cholesterol and highly nutritious quail eggs encased in seasoned and marinated ground chicken. 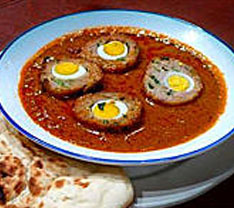 The crown jewel of Mughal and Awadi cuisines.This exotic offering is prepared from the family recipe that uses the very low cholesterol and highly nutritious quail eggs encased in seasoned and marinated ground chicken. Boneless breast of chicken marinated in exotic spices. Served with salad and a side of naan bread or plain rice. Ground Halal lean chicken flavored with Indian herbs and spices. 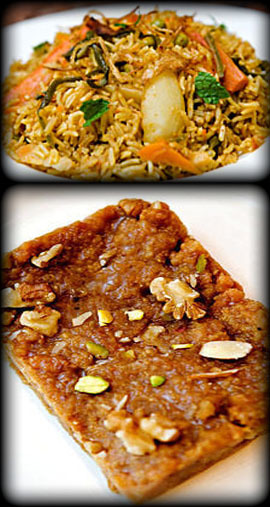 Indian pudding made with rice, almonds and nuts. An ultra-thick mousse made with walnuts, cream and brown sugar, served slightly warmed. 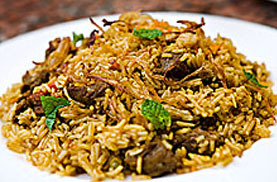 An authentic royal haute cuisine preparation of long grain Basmati rice, made with fresh vegetables, and infused with aromatic herbs and spices. Spicy mashed potatoes, carrots and seasonal vegetables. Crisp patties stuffed with spiced potato and vegetables. Seasonal greens, diced cucumber, tomatoes, bell peppers, carrots. We use only premium quality fat free Halal chicken and lamb. We use fresh ingredients ground on our premises and healthy zero trans fat cooking oil. We do not use any packaged masala.